Year 2068. At a secret Russian military factory the prototype of a self-trained AI is developed for management of various kinds of technics. 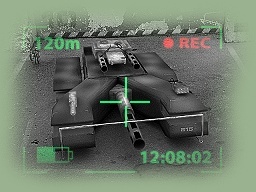 As the test carrier the atomic-engine tank has been created - TA-420 "Scorpion". On the first tests, because of a mistake in system of restriction and restraint, AI leaves control, destroys all test-targets and kills group of researchers. On its neutralization the special group of 134-th brigade sends, consisting of three tanks Т-640 "Black eagle" type. During searches two machines perish, the survived crew continues a pursuit of "Scorpion". 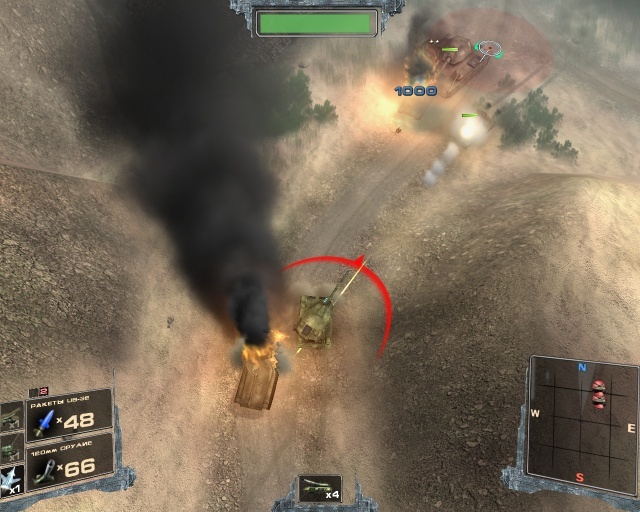 Battles, breaks, defense of bases, tanks, the ships, fighting machines, mine fields, pillboxes - only small part of with what the crew of the last Т-640 has collided. But any pursuit sooner or later comes to an end. The den with which "Scorpion" has arranged in the center burnt with fights of a zone in the south of the country, was revealed by planes of investigation.